Time, now it's time, to bring back your Tux again, as sung by The Scorpions. Or in our case, The Penguins. But let us. Let us. A year has passed, many a distro had gone under the surgical knife of love and criticism on here be domain, and we shall now conclude. As always, I will focus on what I believe are the cardinal elements of any successful operating system - stability, consistency, easy of use. This will already have been reflected in my individual reviews and relevant scores, but still. Wrapping it all up now. I am always amazed when Arch children make it to the top, but being as objective as the laws of physics permit, I am always happy to include the best of the best, regardless of what and how they do that, or who their parents might be. Sacrificial goats and blood rites notwithstanding, Gellivara pleasantly surprised me with its delivery, offering good looks, excellent networking support for my usually troublesome hardware, decent package management, everyday delights, and then some. It wasn't perfect, and there's room for improvement, but it is still among the best players of this otherwise abysmal year. With a very respectable score of 9/10 each, the Kubuntu-derived Maui and the spring version of Zealous Zorba Xfce take the fourth place here, for their own individual reasons. Maui takes Kubuntu and makes it more streamlined, with extra goodies and flair, without ruining or making things too complicated. In a way, it's unto Ubuntu Plasma what Mint is unto Ubuntu Unity (or Gnome if you will). Maybe not the best analogy, but you get the idea. Xubuntu 17.04 is another solid player with all the right credentials. One, Xfce has been a high roller in the past couple of years. Just recall my overall Xfce reviews from five years ago, check the references on Wikipedia linking to my ancient Xubuntu articles, and then slowly work your way to the present. From an ugly underdog to a smart, bright and ultra-fast modern distribution suitable for any desktop need. Zesty embodies the idea really well, and helps maintain the qualitative and fun edge that Xubuntu has had in the past few years. Make your choice, and you won't go wrong. It will be a matter of style. MX is one of those distros that is slowly but surely making its way to the top. 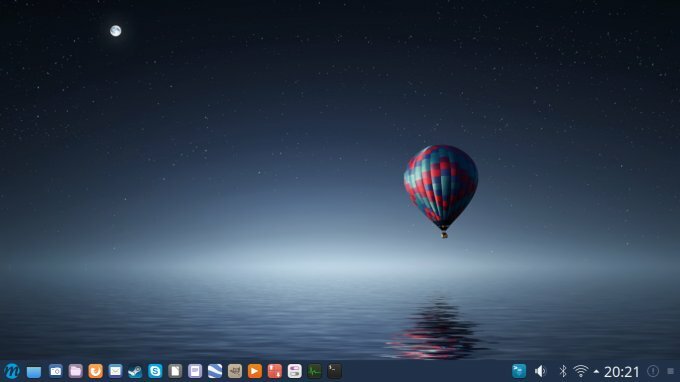 Much like Xubuntu, its earlier incarnations drew wrath and negative comments from Dedoimedo, but the distro inexorably progressed on all fronts, becoming a top contender for desktop use in the Linux space. Last year, the MX-15 made its debut into the top five, and now MX-16 inches even higher. 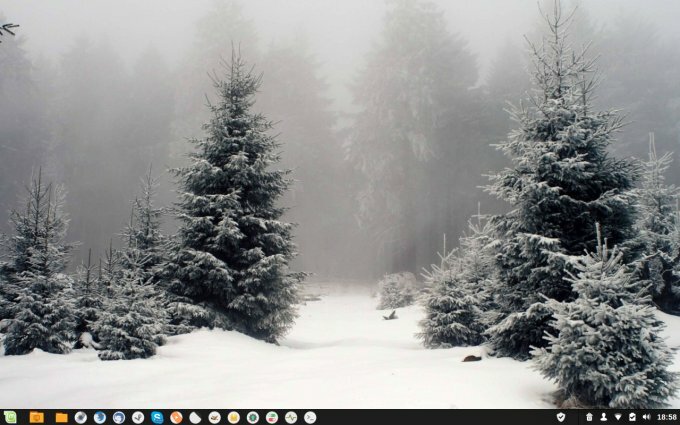 The reasons are many - solid Xfce foundation, blazing speed, ultra-frugal battery life, among the best in the Tux world, the unique and practical MX Tools, the live session import, day-to-day jubblies, all there. Elegant, different, refreshing. Mint has been somewhat on the downlow in the past couple of years, but the last two releases, Sonya and the most recent Sylvia are pretty darn good editions. Specifically, Sylvia builds on top of a really good foundation that the 18.2 version set, and offers an even more polished and streamlined operating system to the user. Technically, both these versions deserve a place here, but we will let only one steal the glory, and that the recent and most relevant 18.3 Sylvia release. You get the good, old, familiar Mint essence, with a few neat Cinnamon tricks. Then, there's the whole wide plethora of everyday goodies, available out of the box or near as it makes no difference - music, gadgets, network connectivity, you name it. Very reasonable performance for something that is essentially Gnome, good stability, smart package management, tons of friendly utilities to help you make the best of your desktop. You may not like the Mint looks, but you cannot fault the consistency of the effort, or the fact the team is working with a troublesome, fickle foundation that is constantly changing, and not always for the better. Still, in a year rife with disappointments and an odd gem or two, Sylvia steals the jewels. Extremely recommended, hence, to wit, ipso facto, our silver medal here. Geddit? Sylvia gets silver. Didn't plan it that way. Honest. This probably does not come to you as any surprise. 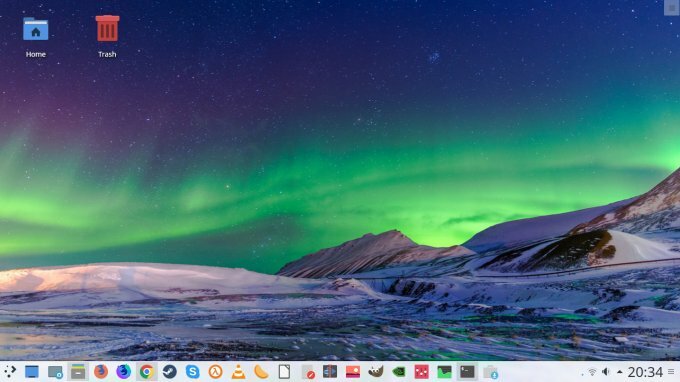 But Zesty Plasma is akin to Ubuntu 14.04 Trusty Tahr when it comes to reliability, flexibility and fun. Not only have I done my usual share of testing, I had it committed on multiple machines, I use it regularly as a near-production system - 'twould be a production one if it were fully supported for five years, alas - and even after long, continuous use, it maintains its elegance and charm. Kubuntu 17.04 really revived the Plasma world. A stunning, high-quality release with many advanced, smart and semi-pro to pro features. Great stability, good fonts, seamless networking, improved smartphone support, excellent performance. I can keep on using the superlatives, but that's too fanboyish. At the end of the day, no matter what I threw at it, Zesty persevered. And the biggest testament to its success is the fact that I am using it daily and that I have seriously contemplated (still do) having my next prod machine running Kubuntu, a conviction that got a little disturbed by the rather lackluster Aardvark release. But all that said, nothing can spoil Kubuntu Zoomy Zoltan's glory. 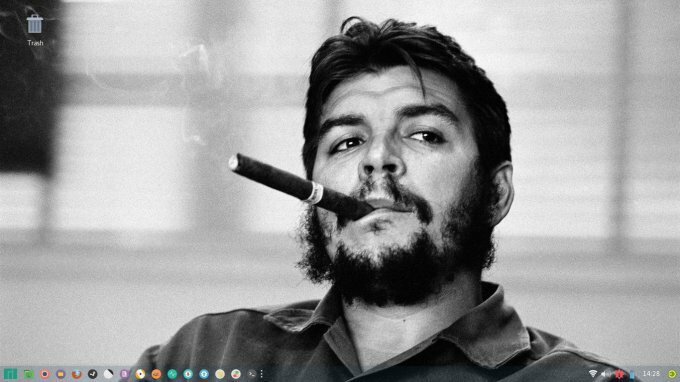 It really and truly is the perfect little desktop system. There are two other distributions that we should add here. One, Antergos. It's another Arch beast, and it's good to see some new and fresh players on the rise. While I see little merit in naked Arch and the overcomplicated manual work required to properly set one up, I really enjoy seeing technological progress, especially when difficult and complex things are made simple and easy. 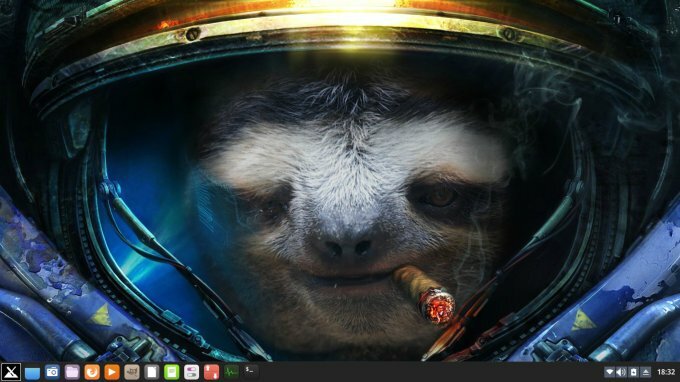 Antergos does this - an excellent Gnome desktop (despite the inherent failings), good looks, Nvidia drivers on first login, lots of extras, very reasonable overall behavior. This could very well be the star for the next year. Two, Mageia. I have had immense troubles with this distro, just getting it to boot, and for years, it stood neglected. Release 6 redeemed the family, and more than that, I was stunned by the style and elegance with which it delivered. Like Antergos, it offered proprietary drivers right away - actually taking it one step further and giving them in the live session, too. Full live session user data import, too. Professional control panel, tons of great and smart utilities, a very classy Plasma desktop, and all the fun you can imagine and need. It wasn't as smooth as our winners above, but it was very close. Last but not the least, please also take a look at my best desktop environment summaries, specifically Gnome, Xfce, and Plasma. Yonder, you will also be able to see how different distros stack across different UI. Rejoice. As always, I never know how the year will end, and 2017 is no different. There are some consistencies - Ubuntu is no longer quite as fun as it once was, and who can blame them, right. Gnome is badly downtrending in quality and accessibility. 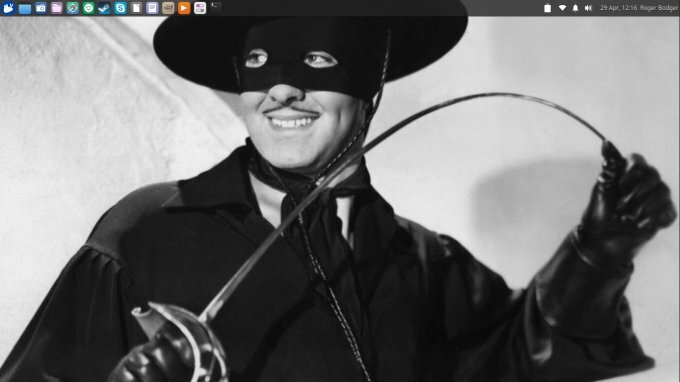 Xfce remains solid and consistent, but Plasma be rising and rising. This year, the chart is dominated by these two desktop environments, with Mint holding its own. If anything, this is probably the most consistent system overall across the past decade. So in a way, 2017 is not exactly what we had last year, but then we also have some familiar places. 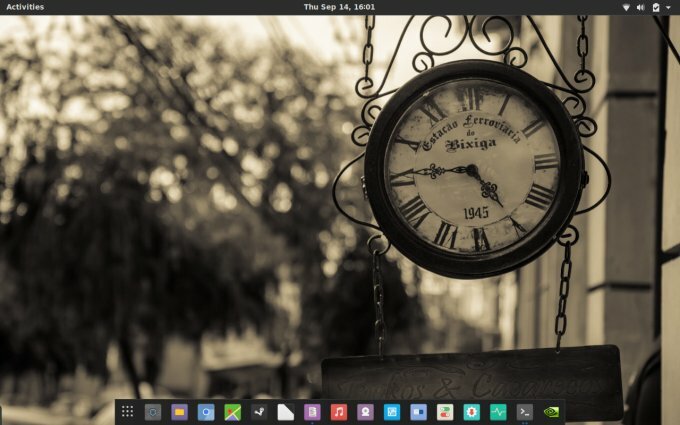 Fedora's gone and Kubuntu takes its place - with a bang. 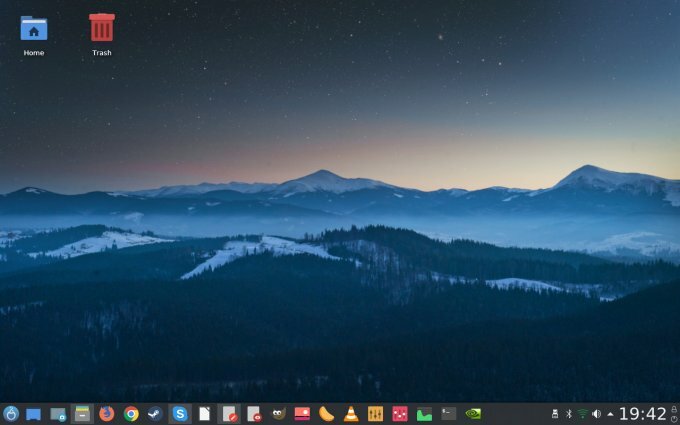 MX Linux and Manjaro are having a tight fight, and Mint is breezing in with its calm sanity. Which tells us nothing at all about the next year. Meanwhile, you have a plenty of great systems to sample and test, and if you value my opinion, then the creme de la cuisine is Kubuntu 17.04 Zesty. You probably won't have any updates available by the time this article goes live, or near as it makes no difference, but it showed, in a most stunning and beautiful fashion what a great and inspiring distro it can be.